One of the surprises from last week’s Huawei P30 Pro announcement in Paris was the company’s talk about wireless reverse charging. That in and of itself wasn’t new: we’ve seen it on the Mate 20 Pro last year, where the company talked up how you could recharge another wirelessly charged phone with the technology, albeit very slowly. This year, however, Huawei was singing a slightly different tune, and the slide shown on stage by CEO Richard Yu gave it all away: you can use wireless reverse charging for other things. For instance, you can recharge wirelessly charged earphones, something we’ve seen from Altec Lansing and more recently Apple’s second-generation AirPods. That’s sure neat, but it’s the other gadgets shown that got our attention, namely a shaver and a toothbrush. Now if you’ve ever seen this writer’s scraggly and furry self, you know a shaver isn’t part of his routine. But an electric toothbrush? Yep, we’re all about that, and you can bet that was one of the first things we tested. 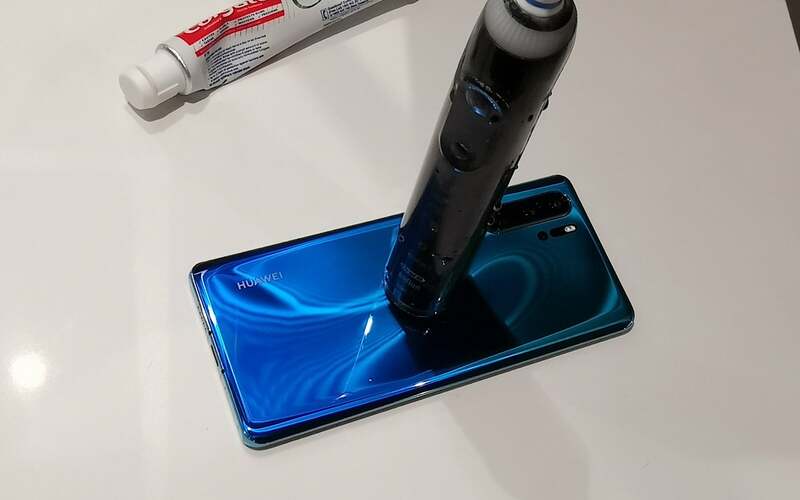 And it worked: yes, you can power an electric toothbrush on the wireless charging put out by a phone like the Huawei P30 Pro. In fact, it’s not alone. 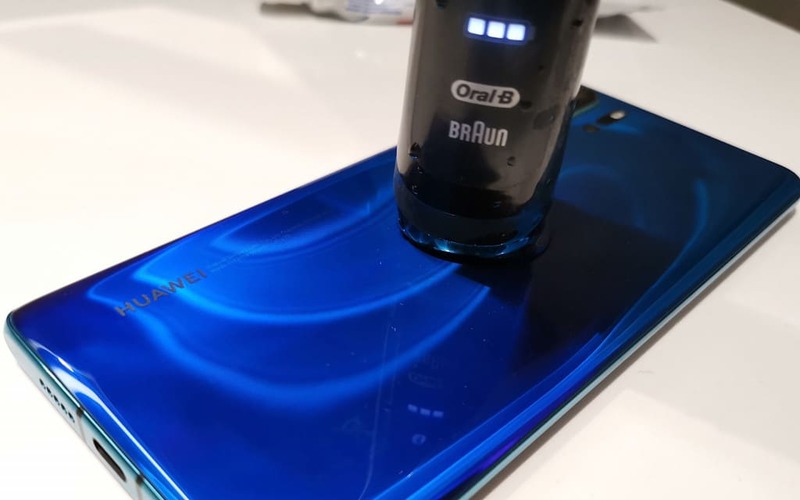 We tested the same Braun Oral-B electric toothbrush on the P30 Pro, as well as the Huawei Mate 20 Pro and the Samsung Galaxy S10+ and found it lit up every single time, pulling charge from each of those phones. From that, it stands to reason that every reverse wireless charging device should handle this, as well as any other wireless charging bed, including those with the battery built in. Sufficed to say, that means we no longer need to bring that charging plug for an electric toothbrush on trips lasting longer than a week, and that’s something we are totally okay with. Sure, we have to leave our phones alone and on their front for an hour or two, but that’s what bed time is for.